Tanishq, leading jeweller, announces an exciting offer to celebrate the auspicious occasion of Akshaya Tritiya. Now, customers can bring home happiness and prosperity with a festive offer where they can avail a free gold coin* with every jewellery purchase. Additionally, there is a discount of flat 20% off* on every single piece of diamond jewellery worth Rs 2 lakh and above. The offer is available on platinum, open polki, kundan polka and solitaire jewellery from 17th to 21st April 2015 at all leading Tanishq stores. Beautiful designs are available with making charges beginning from as little as 8%. True to tradition and yet contemporary in design, Tanishq captures in its jewellery the beauty of Indian tradition amalgamated with modern values. The brand’s fabulous and ornate creations in the form of necklaces, bangles, earrings and cuffs have intricate designs, highlighting the delicacy of craftsmanship that makes its’ jewellery truly extraordinary. Tanishq has been synonymous with superior craftsmanship, exclusive designs and guaranteed product quality, taking special efforts in offering best in class jewellery to its consumers. Tanishq is adding to the ‘gold buying’ fervor by introducing new collections and designs to commemorate the occasion of buying gold and wearing it. 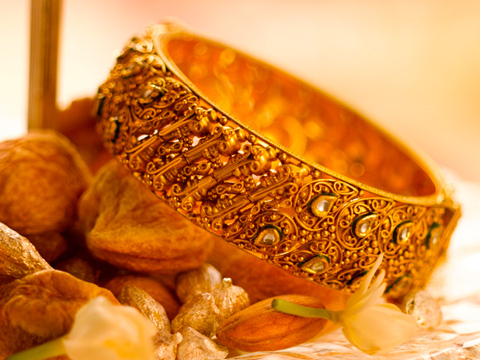 The brand has also introduced a special collection for Akshaya Tritiya which consists of a wide range of traditional and contemporary gold jewellery. How Baby Accessory Market Is Booming?